Hola! Bienvendios a La Hacienda de San Angel! 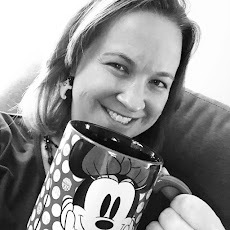 OK. . .that's as much Spanish as I know for this review :) As you may have guessed, La Hacienda de San Angel is located in Mexico within Epcot's World Showcase. This is no Taco Bell - you will definitely encounter authentic Mexican cuisine which is well prepared here. Reservations are encouraged at this popular dining location, especially around the time of Illuminations: Reflections of Earth. With it's location right along the water, the restaurant features beautiful views of the nightly pyrotechnic spectacular and guests don't miss any of the experience with the lights inside the restaurant being dimmed and the audio played throughout the restaurant. 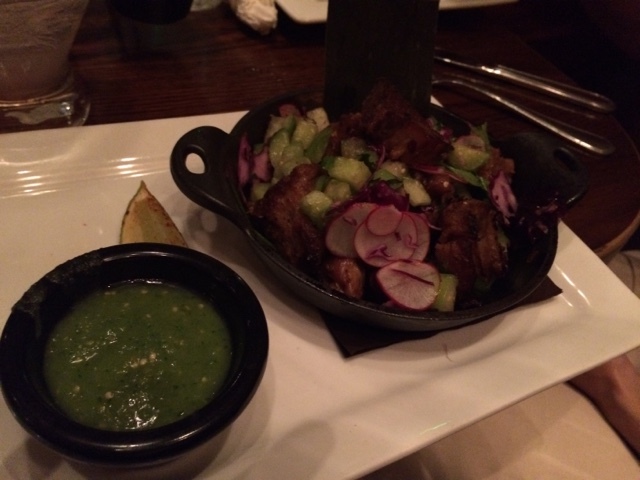 La Hacienda de San Angel is a table service restaurant and offers a warm, cozy interior that is designed to transport guests to an upscale Mexican kitchen. With so many yummy items on the menu, we were anxious to get started. Unfortunately, our eyes were bigger than our stomachs - especially after a day of tasting at the Epcot International Food and Wine Festival. When in Mexico, you have to begin with a margarita! The restaurant had a fun drink menu with a few margarita concoctions that were tasty treats. 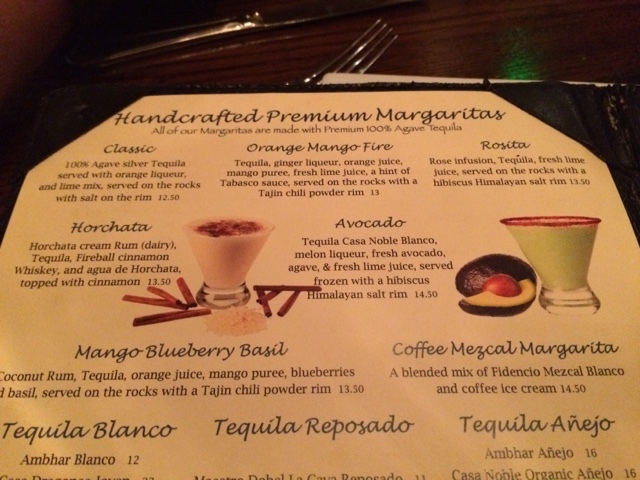 I tried the Rosita Margarita - definitely a good pick! Our table began with appetizers. My husband and I each ordered the Crema de Elote. 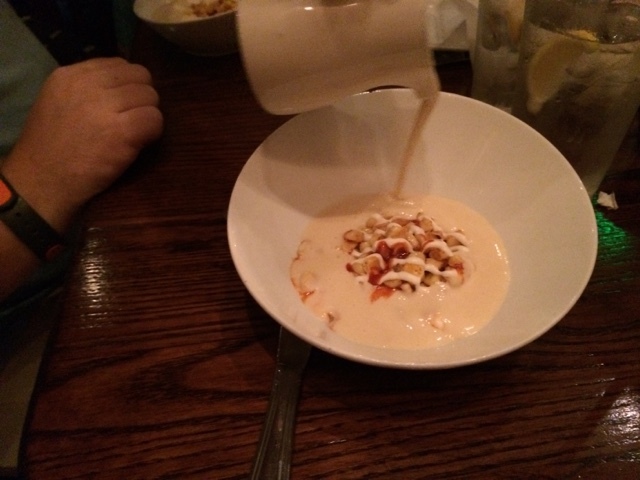 This cream of corn soup is served fresh table side. When the waitress brought the soup to the table, it was just the corn in the dish. Then the cream soup was poured fresh over the corn. It was a beautiful presentation and one of the best soups I have ever had! 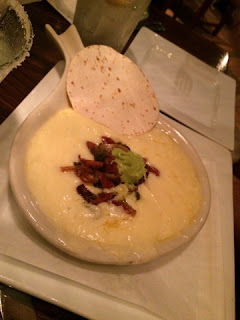 Our friends shared an order of the Queso Fundido. I tasted a bite of theirs - it was wonderful cheese deliciousness, but I would recommend the Creama de Elote over it. Did someone ask for cheese? For our entrees, my friend Ali and I shared Carnitas Yucatecas. We were both getting pretty full from all of the food that day. Even with sharing, we couldn't finish everything on our plates! 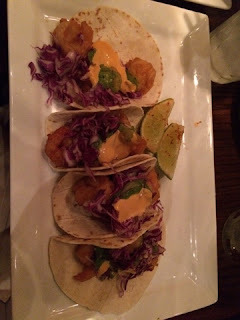 The pork was good, but I think the Tacos de Camarones (Shrimp Tacos) that my friend Craig had were the better bet. Everything was well prepared and service was fast. Actually, service was almost too fast. We hadn't finished our appetizers yet when our entrees arrived. Of course, we had to save room to try some desserts. 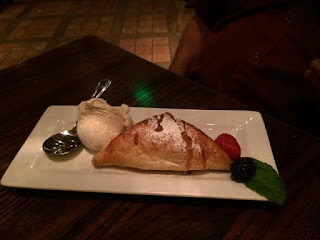 We ordered the Mousse de Chocolate and an Empanada de Manzana to share around the table. 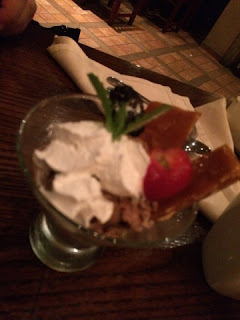 Both were OK, but I'd save my calories to enjoy more appetizers or cocktails if I were you! At 9PM sharp, the lights dimmed in the restaurant and we were treated to a great view of Illuminations. Granted, it's not the same as the FastPass+ viewing experience we had on another trip, but this was a nice alternative and didn't require fighting crowds for a front seat view. 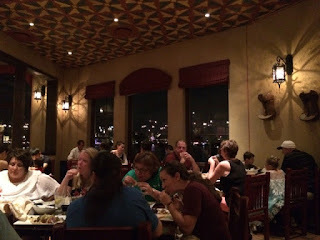 Overall, La Hacienda de San Angel is a solid choice if you're a fan of Mexican cuisine and looking for a place to enjoy some indoor, relaxing dinning after strolling around the world in Epcot. Until next time, adios!